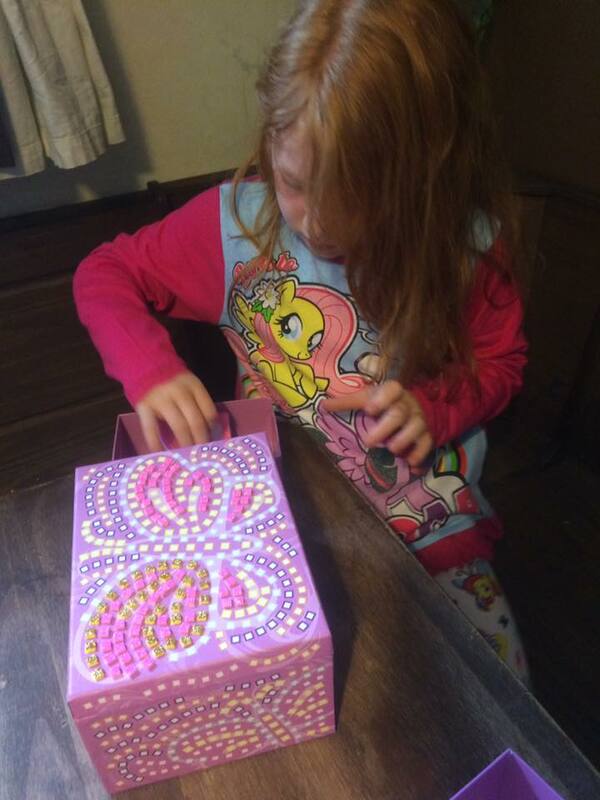 Lexie is slightly obsessed with any boxes, she the type of girl that has a box in a box. 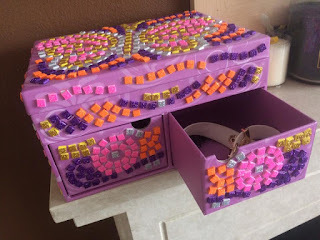 Christmas she received a wooden jewellery box to paint which she really enjoyed designing. We was really surprised by the size of the Mosaics jewellery box from Brainstorm Toys it's huge. It has two drawers and a ribbon hinged flip up top to keep any special keepsakes in. 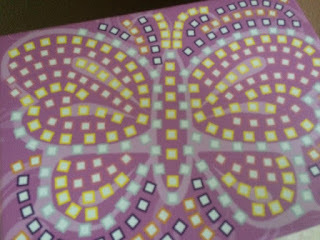 The thick cardboard box is very sturdy, which has a pattern of butterflies on. It has coloured squares that show you which colour that goes where. 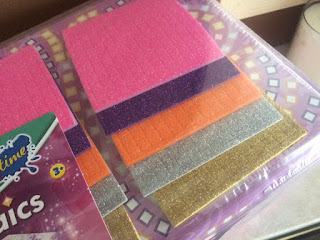 With over 1400 very sparkly self adhesive sticky foam tiles to stick on and watch the glitter tiles create the pattern. Lexie found the peeling and sticking really easy, recognising colours and placing them where they need to go. She really liked how glittery they were and how much stuff she could if fit in the box once completed. 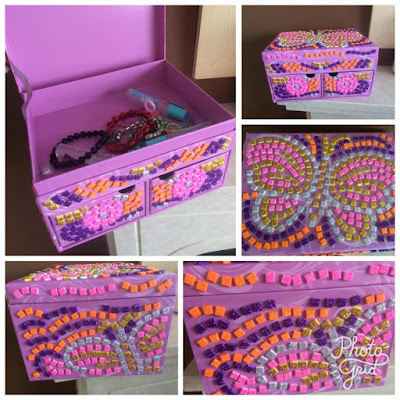 As children decorate they will build fine motor skills and hand-eye coordination and the mosaic jewellery box is very engaging arts and crafts activity. 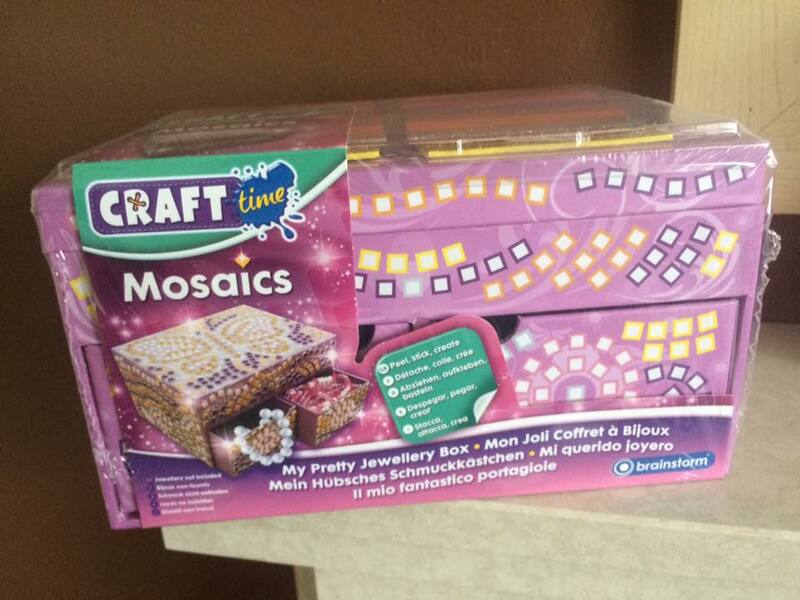 Brainstorm toys have a great mosaic range with a journal and lots of different pictures you can carry on creating.